(Nicholas), Claes Pietersz Berghem; 1620-1683, Dutch; Pupil of his father Pieter Claeszn Berchem who was a painter of still life. 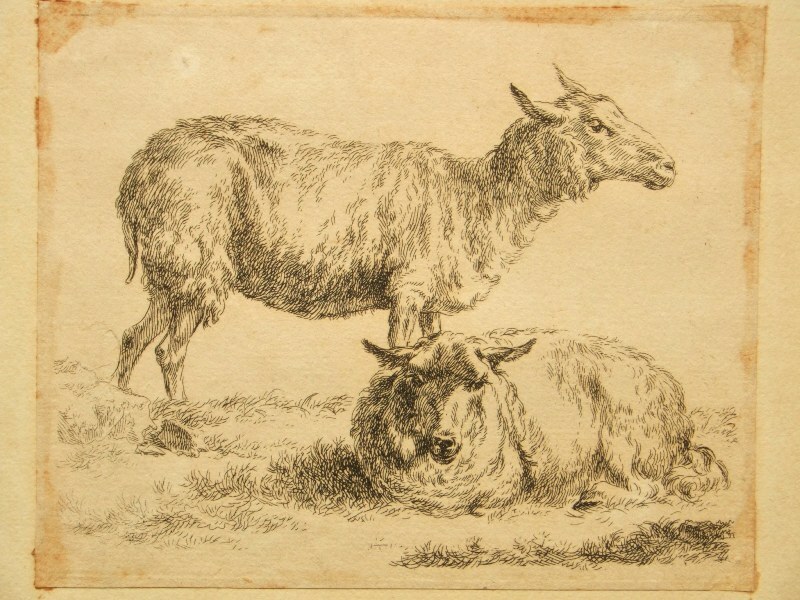 Later pupil of Claes Moeyaert. He is an important member of the Italianisants although it is not absolutely sure he ever went to Italy. 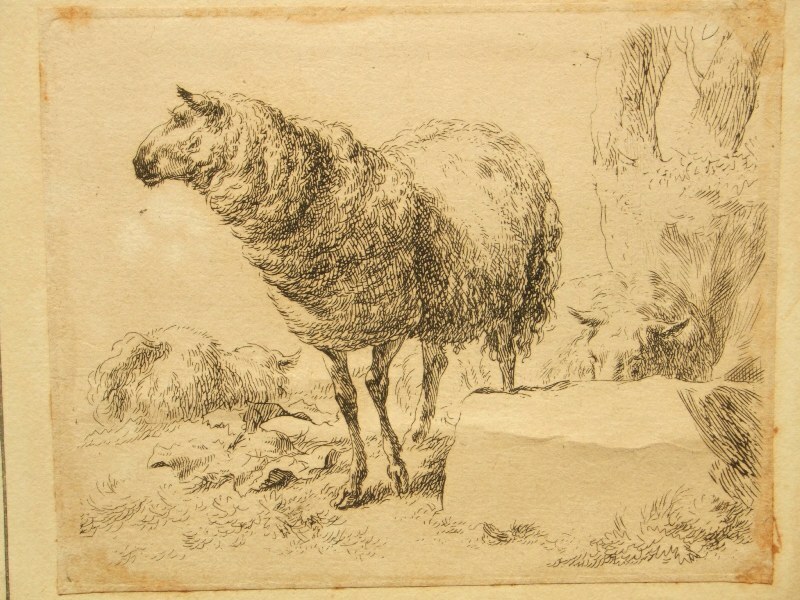 The scenes of Berghem are pastoral and take place in sunny Mediterranean landscapes. The part the sun plays in his work is very important. Two very fine etchings which are bright and unfaded, printed in black ink. 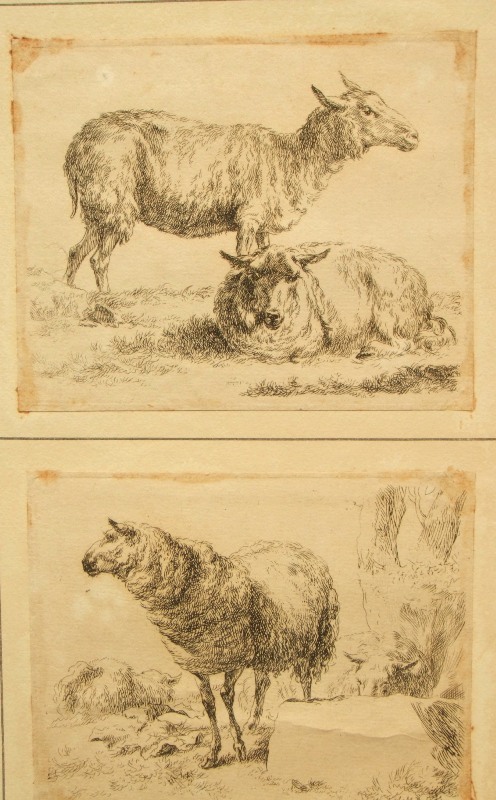 The images printed within evident platemarks and impressions on early paper sheets size 13 cms x 11 cms. ( 5 x 4¼ ins.) trimmed close to the platemarks. 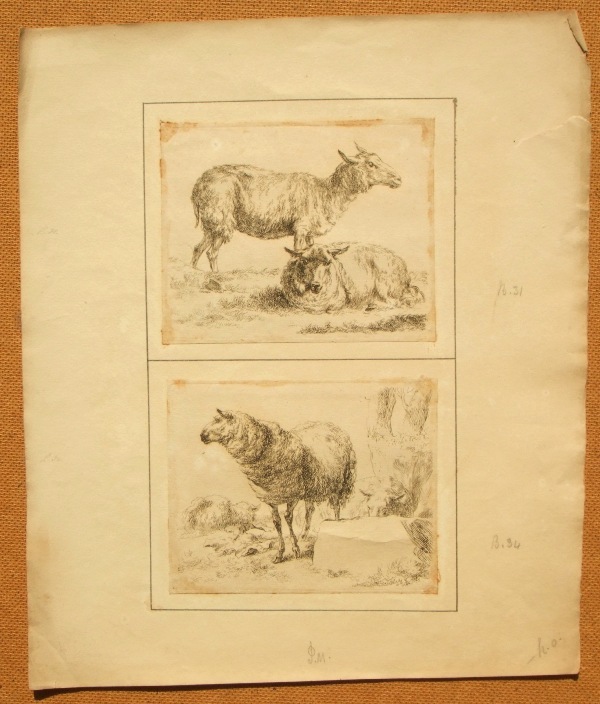 Unframed and unmounted, the condition of the images and the sheets are fair with handling marks and soiling condusive with age, the two sheets attached to a backing.